The superior flexibility of shipping containers is central to their popularity as modern storage solutions. Not only this but all of our containers are new or near new meaning they in very good condition. This ensures the secure storage of your possessions from potential thieves and a safeguard from creepy crawlies that like to prey on your possessions. Shipping Container's flexibility comes in three major ways. 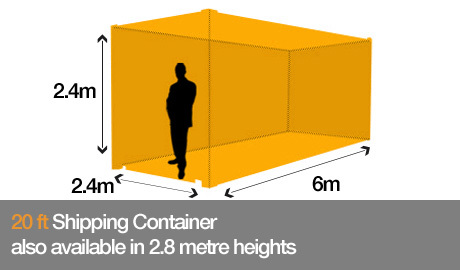 Offsite: The most cost efficient of our container self storage options. 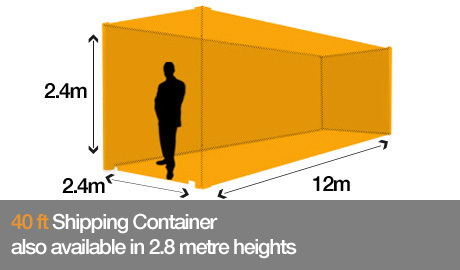 Your shipping container is delivered to your property where it remains for the term of your lease. This is popular as it becomes a place to store your items but allows regular access to them. Deliver, Pack and Return: When you receive your container on your property time is allowed for you to pack and fill the container with your possessions to be stored. When you have packed it we return to take the packed container to our secure storage facilities. You are provided with an electronic entry pass to for access to your storage container as you wish. Onsite: Often chosen for its affordability. You bring your possessions to be stored and pack them into your container onsite. The container is kept onsite where it is secure and you can access it at your leisure with your electronic pass. This is a great choice for those moving as arrangements can be made to ship the container as is. All of our containers are available for both short and long term lease with delivery available from Northern NSW to Brisbane's South side. 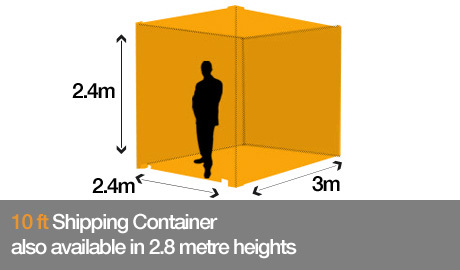 We can offer fantastic deals on long-term container leases. For more information on our storage solutions for everything including our storage units contact All Size Sheds today on (07) 5534 7181.